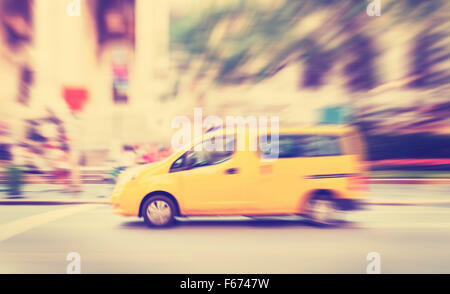 Vintage toned motion blurred yellow taxi on a street. 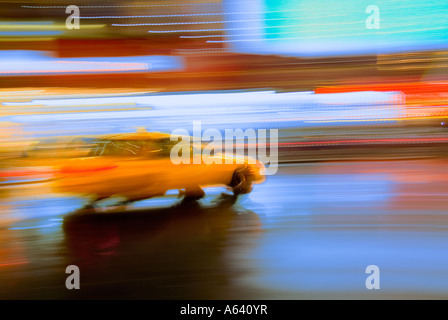 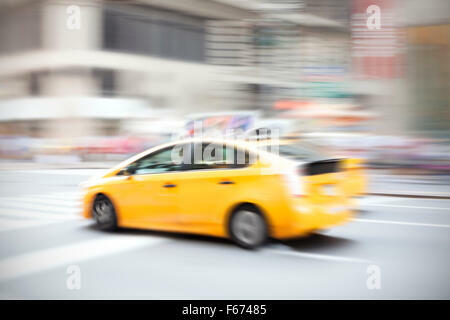 Motion blurred yellow taxi on a city street. 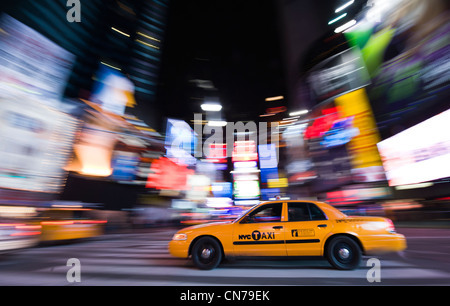 A night time passenger view of a downtown, New York taxi cab ride. 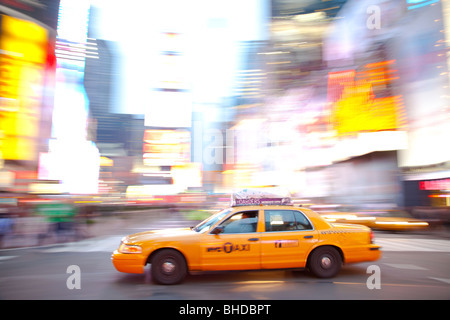 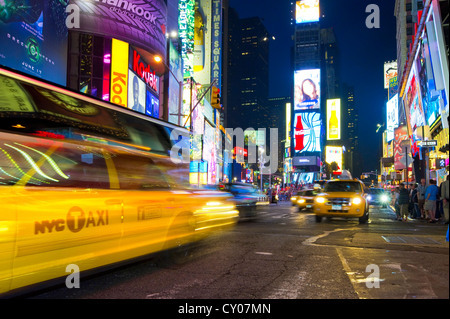 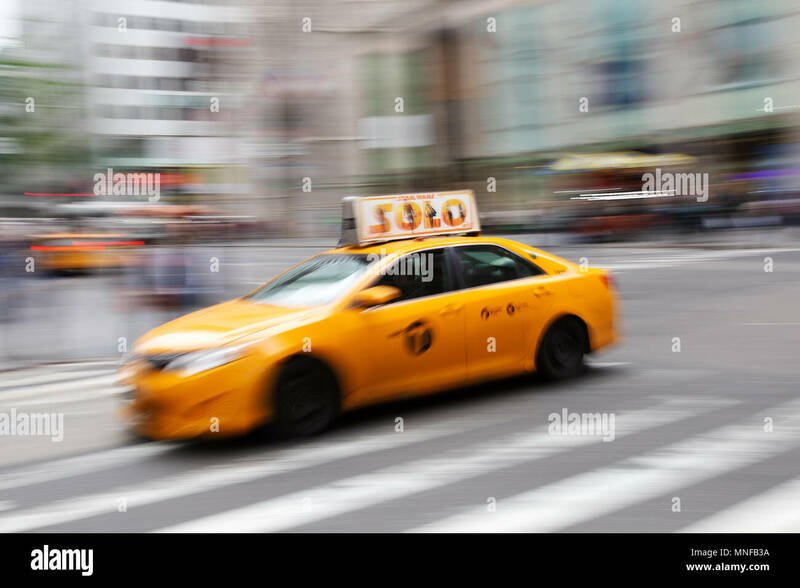 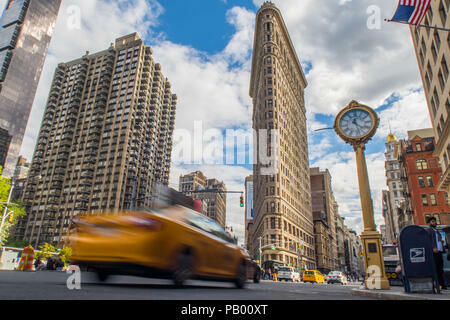 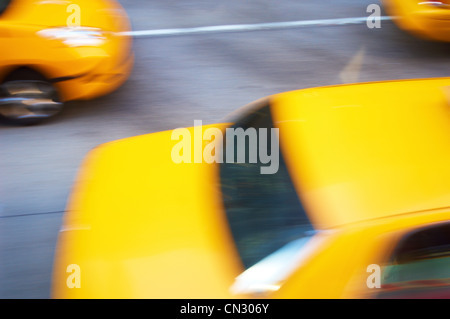 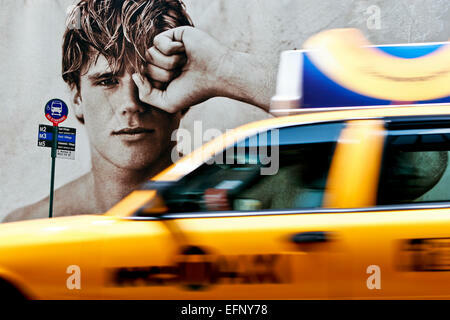 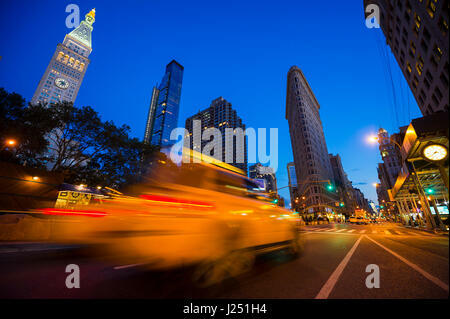 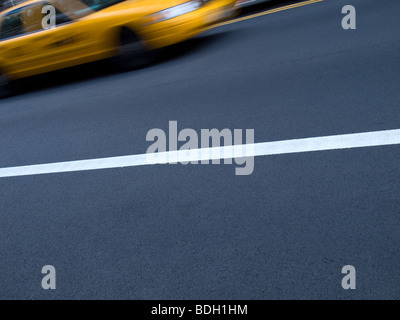 A New York yellow cab in motion on the street.